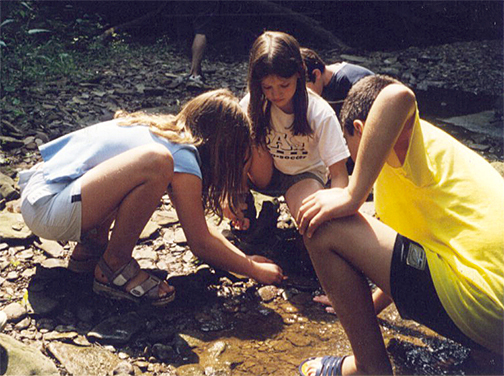 Summer Discovery, sponsored by Little Sewickley Creek Watershed Association, is a day camp with emphasis on aquatic habitats. 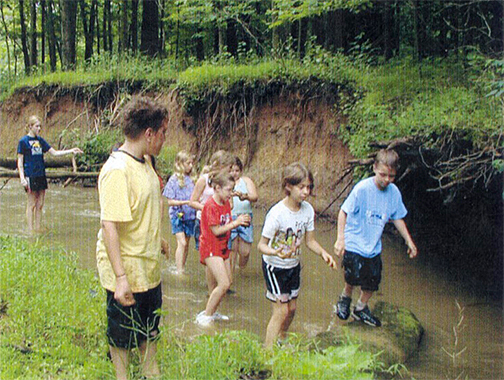 Campers will explore Little Sewickley Creek, meadows, and woods of Walker Park which is managed by Edgeworth Borough. The location has nearby restrooms and there are roofed shelters available. 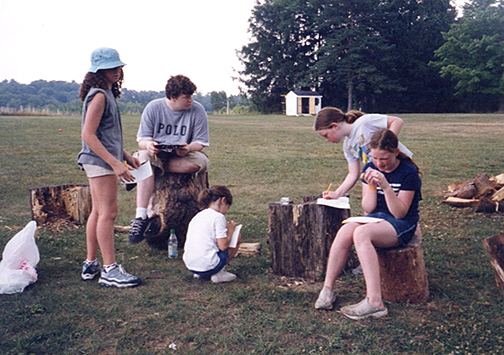 The Camp director, Christine O’Lare, has directed the camp for more than 20 years. The student counselor ratio is 6 to1. The program has four main goals. Each week, this program enrolls 24 rising fourth, fifth, sixth, and seventh graders. Hours are 8 AM until noon. Tuition is $35 per camper (or $50 per family). Scholarships are available. The director, Christine O’Lare, is a PA certified biology teacher at West Mifflin Area School District. Counselors are teachers and local college students with strong backgrounds in science. All counselors must have received clearance from the state of Pennsylvania after review on criminal and child abuse histories. 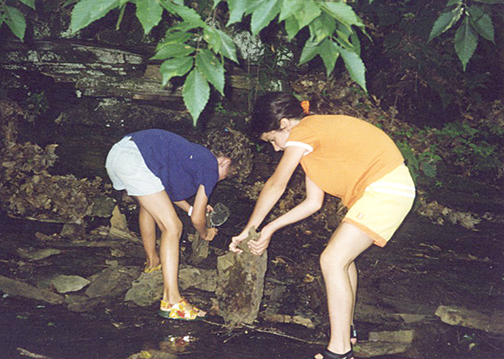 We will take walks in the woods, catch critters in the creek, hug a tree, talk to the birds, visit a nearby lake, hike at night and get a close-up of the stars (one family night each week! ), and much more. Any student who is presently in 3rd, 4th, 5th, or 6th grade (2018-2019) is eligible. Spaces are limited but we accept applications until we are full at 24 students per week. Monday through Thursday: We will meet at Walker Park along Little Sewickley Creek Road. Friday: We will meet at Fern Hollow Lake (124 Fern Hollow Road) which is on the left on the way to Bell Acres Recreation Park from Walker Park. Dress for the weather as Summer Discovery will happen rain or shine. Shorts and T-shirts are fine as long as it is warm enough. A jacket, sweatshirt, sweatpants, or jeans may be better for cool mornings. A raincoat or poncho and boots would be helpful for a rainy day. (If there is severe weather, it is the parents’ decision whether or not to send their child. We will remain under a pavilion during thunder and lightning). The “Discover the Night” program is held in Sewickley Heights Borough Park off Fern Hollow Road. Your whole family is invited to look at the night sky through a telescope and take a walk through the woods. We will begin at 8:30 and end by 10:00. The tuition is $35 per camper to help defray the cost of insurance. (If there is more than one camper per family, the cost is $50 per family.) Please make checks out to The Little Sewickley Creek Watershed Association and submit with registration form.